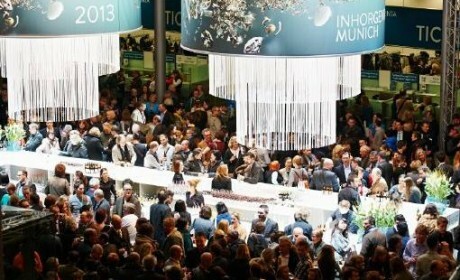 Pavés are excited to announce their debut appearance at The 41st INHORGENTA MUNICH event in Germany. 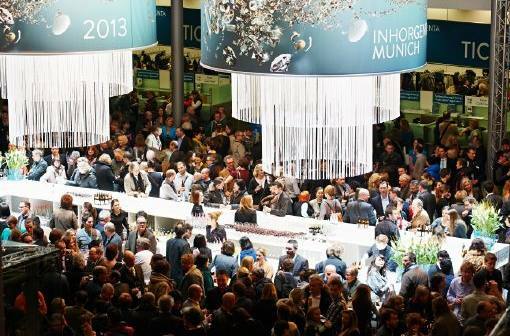 The 41st INHORGENTA MUNICH event which is from February 14th to 17th, 2014 is the leading show worldwide for affordable luxury in the area of jewelry, timepieces and lifestyle. Since INHORGENTA MUNICH first opened its doors in 1973, it has continually developed and progressed with its character as a Europe-wide forum for the timepiece and jewelry industry. This success story can also be expressed in terms of figures. At the first event, 210 exhibitors took part; at the most recent event, there were 1,237 exhibitors from 19 countries. A total of 30,000 trade visitors came from 85 countries. Pavés will launch their brand “Shankla by Pavés”, at this exhibition which offers the latest news and trends in the world of watches, jewelry, gemstones and lifestyle. This year it comprises of over 1,230 exhibitors from 38 countries and is a platform for the latest trends and innovations. Pavés will showcase ‘Shankla by Pavés’, which is a collection of 9 individual pendants handmade with semi-precious gemstones and a unique design for men and women made from the finest quality natural stone and 18kt gold. Within this collection, each pendant, with it’s own gemstone, special meaning and thousands of years of history has energetic properties which can help improve your health and look great at the same time. The pendant stone soles of the Shankla´s are hand crafted by professional German and Italian lapidary´s and the stones come from the very best quarry’s in Peru, Brazil, Afghanistan and Australia among others. The Wishbone shape of the pendants are made with 18kt gold. They come in a choice of three golds, Pink, Yellow and White which can be chosen with matching gold chain or beige or black cord. The beauty of the 9 different Shankla’s is only you can decide which pendant will best suit your needs and taste. It is a well known fact that gemstones promote healing and awakening on every level – through the body, mind, emotions and spirit and each Shankla represents different energies and benefits. The Shankla by Pavés stand will be located in Hall B1 Booth 551, Gang E – This ‘Selection’ as it is named, is the centerpiece of the jewelry and timepiece trade show For over 40 years, high-quality jewelry and timepiece brands have presented their latest products to the international specialized public in this hall. This Hall stands for the show’s core competence in the area of affordable luxury and offers its visitors numerous highlights too such as Shankla by Pavés, Couture Pavilion from Las Vegas and the new French joint booth among many others. The exhibition will be open from 9am to 6pm Friday to Sunday and 9am to 5pm Monday. 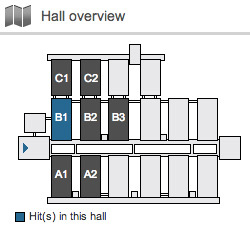 Within the Exhibition itself which is wheelchair-accessible and has no limits for people with disabilities, there are many services like full service and self service restaurants, shops, pharmacies and there is a International Business Center (IBC), located in the Atrium in front of Hall B3, offers you an ideal setting for meetings and concentrated work in elegant surroundings. It can be rented by exhibitors for exclusive use for all kinds of events and offers a variety of office services. These include: fax and copying service, spiral binding, lamination, scanning, b/w and color printing, high speed Internet, cell phone docking stations and adapter plugs for battery chargers from Asia, the U.S. and Southern Europe. If you would like to know more or indeed traveling to the fair, you can familiarise yourself with INHORGENTA MUNICH before your visit. Please find here information on where Shankla by Pavés will be located and what they can offer.